Both of our dogs often sleep on their backs and it's the funniest thing! Our Jack Russell, Lily, always sleeps with her front paws sticking straight out in the air as though she's bracing herself. We call it "stiffy paws." And our German Shepard, Indigo, lays on her back with her paws limp and often crossed, which is really funny because she's a big girl. 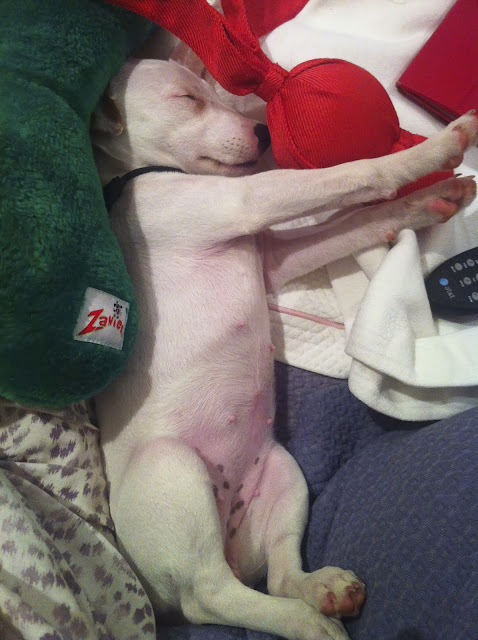 I wanted to share some cute pics of dogs sleeping on their backs today ... including a pic of our Lily. Hope they make you smile too! 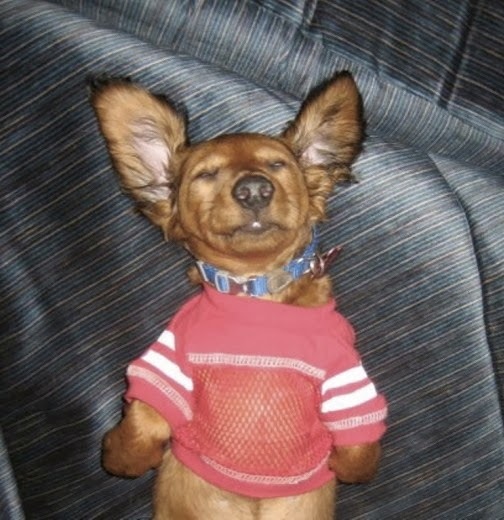 Why do dogs sleep on their backs? 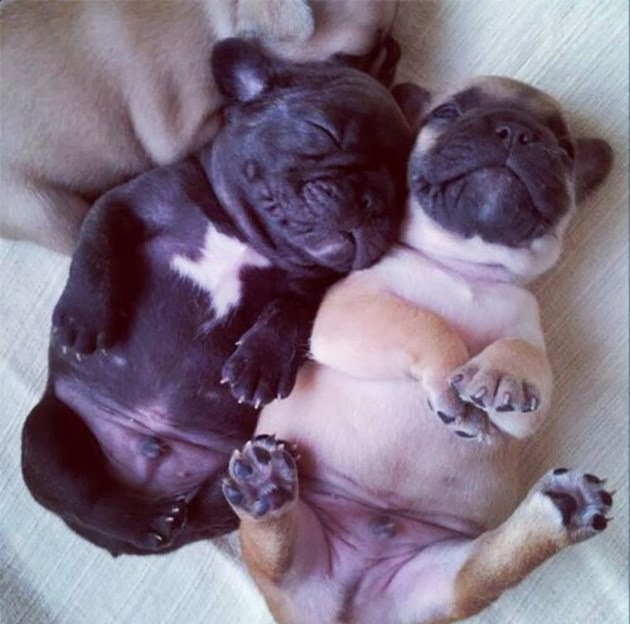 They sleep an average of 12-13 hours a day and mine are constantly shifting positions. 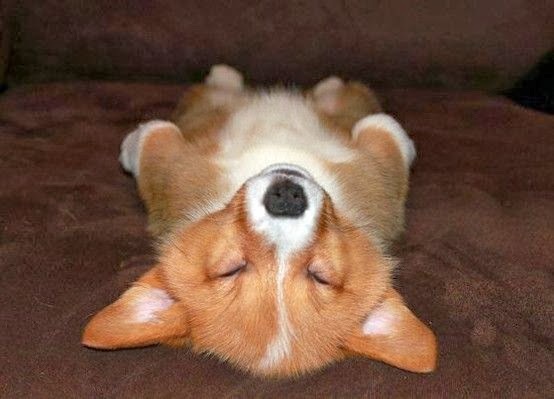 According to Dailypuppy.com, dogs tend to sleep on their backs when they are happy and secure. That's reassuring and makes these photos even more adorable! 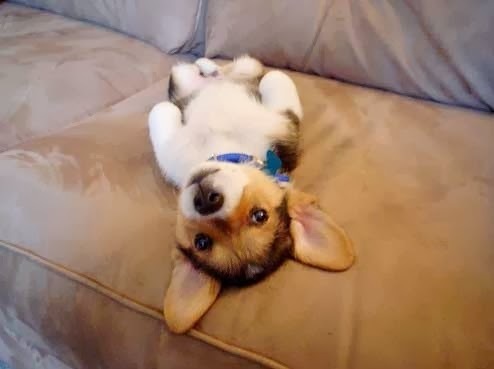 Do you have a cute pic of your dog sleeping on their back? Please email it to me! Happy Dog Lovin' & Dog Snozzin'!